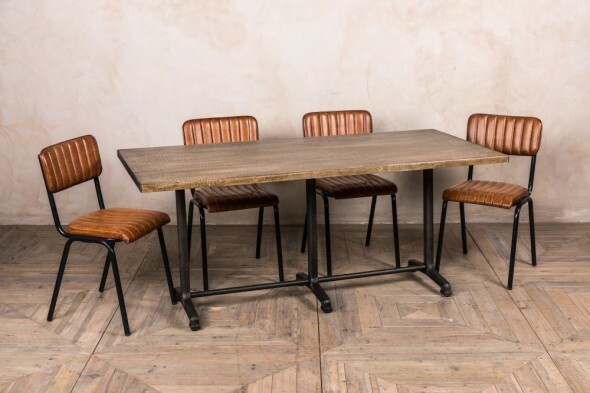 New to our collection of industrial inspired dining furniture, this Y-base table has plenty of vintage and contemporary charm. 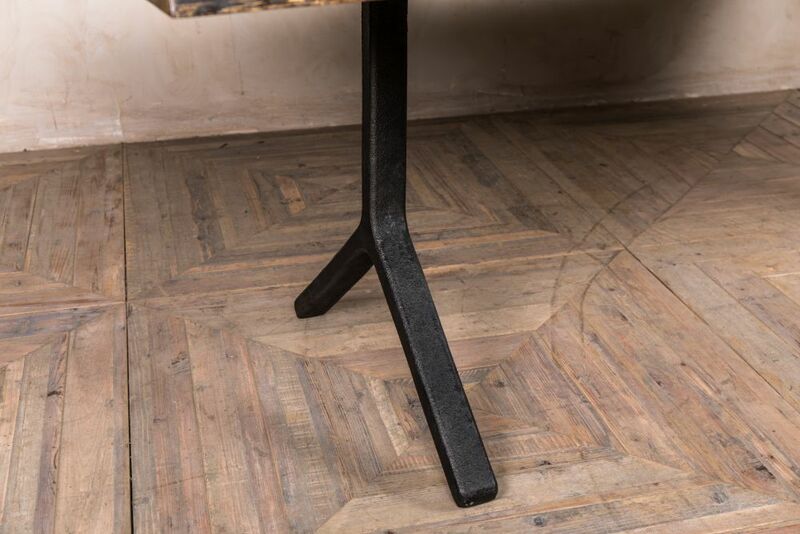 The table has a cast iron base in an upside-down Y-leg design. 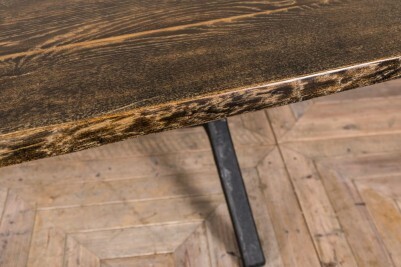 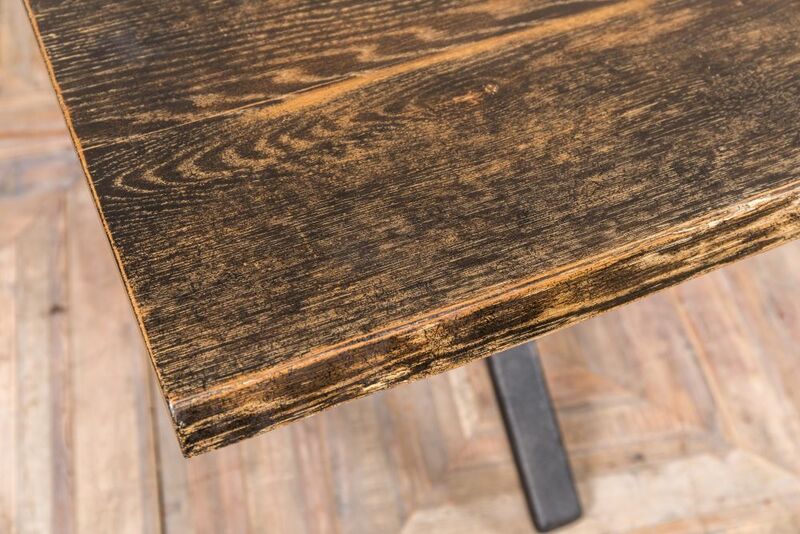 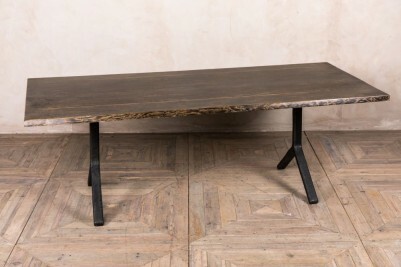 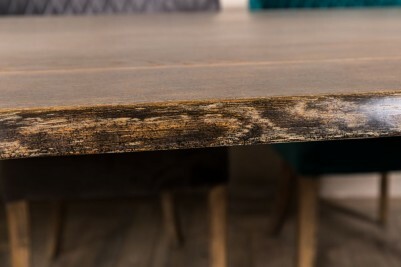 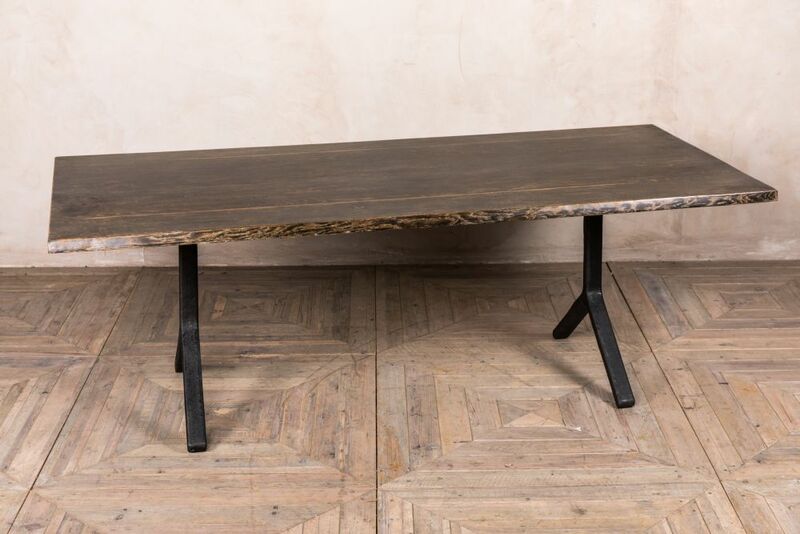 The rustic oak top has a dark finish, which adds to the table’s industrial appearance. 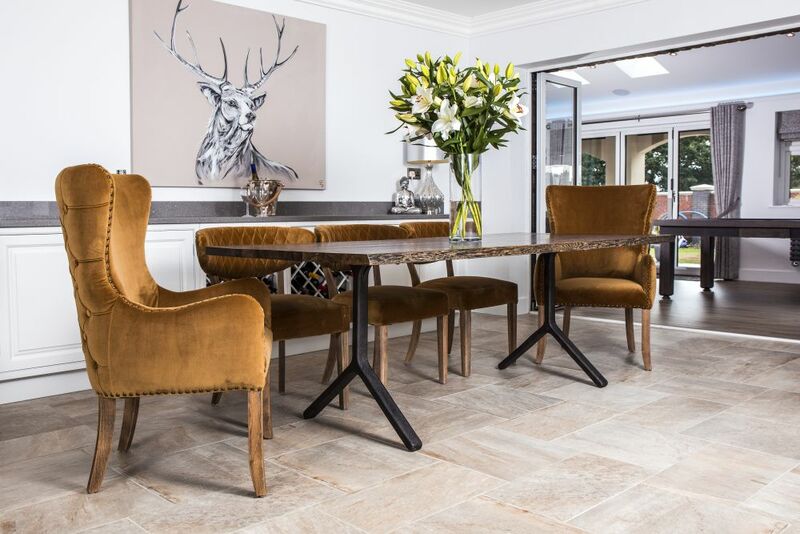 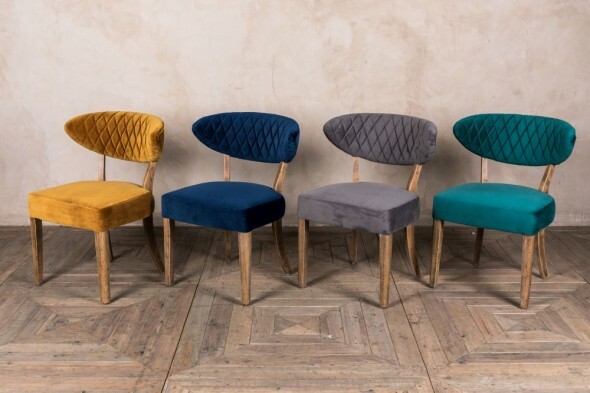 We have pictured the table with our velvet upholstered ‘Orleans’ chairs, which are available to purchase separately. 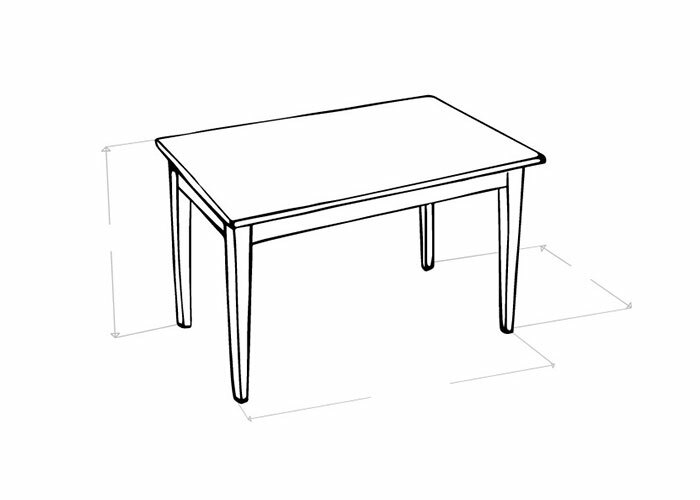 The table would look equally well with leather dining chairs. 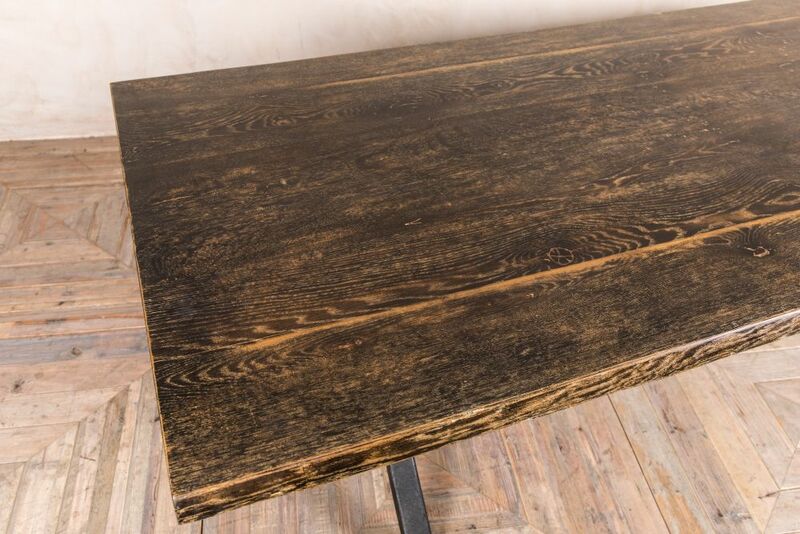 Ideal for a large dining room or as a feature for a restaurant, this 2.2m Y-base table could be easily coordinated with existing furniture. 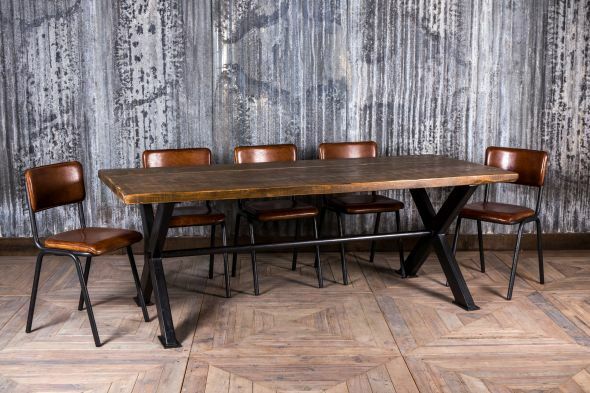 If you like this table, you may also like our new ‘Foster’ cast iron and oak dining tables, available in three sizes.